Honey supers must be stored when not in use. 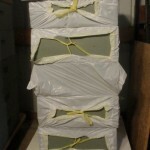 If you are a beekeeper using Langstroth hives, you end up needing to store large amounts of wooden boxes. These are the hive bodies and honey supers that make up the hive. Honey supers in particular tend to stack up because each colony of honey bees can use three or more supers during a season. After the honey harvest, the supers no longer need to be on the hive. 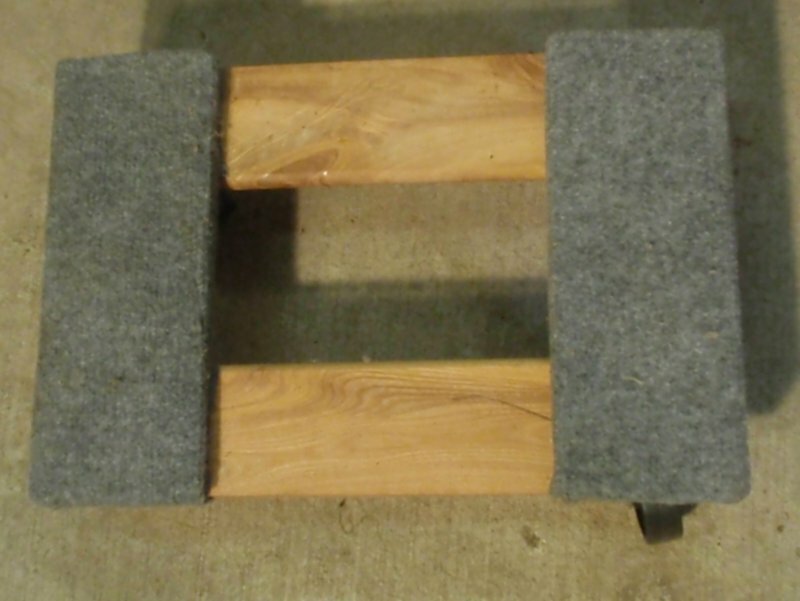 The furniture dolly is a useful tool for storing beekeeping equipment. The number one tip I can give you for storing honey supers is to use a furniture dolly to place the supers on. I get mine at Farm and Fleet. I bought several on sale for about $10 each. This allows the stack of equipment to be wheeled around the barn or garage. I place a piece of scrap sheet good (could be plywood or mdf particle board) on top of the furniture dolly. Then I stack the supers on top. Then I place an old outer cover on top of the stack. This prevents mice from getting into the stack of hive bodies and drawn comb. In order to prevent the dreaded wax moth from destroying the valuable drawn comb, I place each super in my chest freezer for a day or so after I am done extracting. This kills any eggs that may be in the wax. Then I put the super in a plastic garbage bag to prevent moths from getting at the comb. 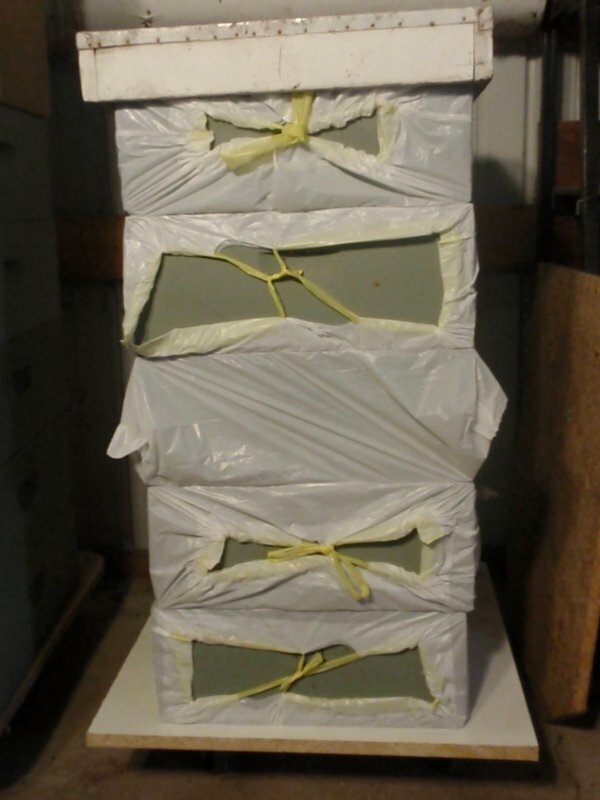 Stacked in order: furniture dolly, sheet good, honey supers wrapped in plastic, old outer cover. Furniture dollies make storing hive bodies and honey supers more convenient by allowing the equipment to be moved easily. If you have any questions about this method of storing hive bodies or any tips to share, please let me know in the comments section below.